Shag Moth Larva, Acharia sp. 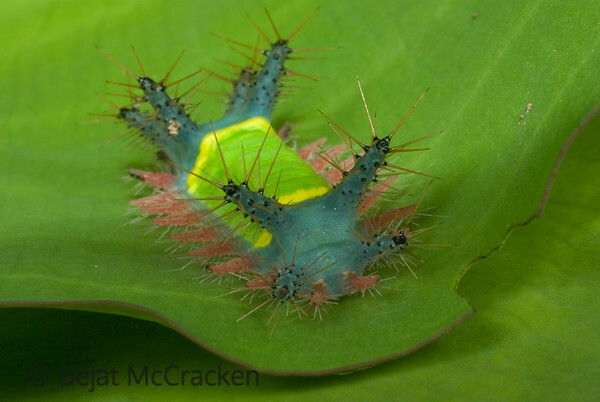 An irritating and stinging rash is the result of brushing up against this Shag Moth Larva, Acharia sp. Chasing it down on the forest floor I photographed this specimen on my belly in the Ecuadorian Amazon.